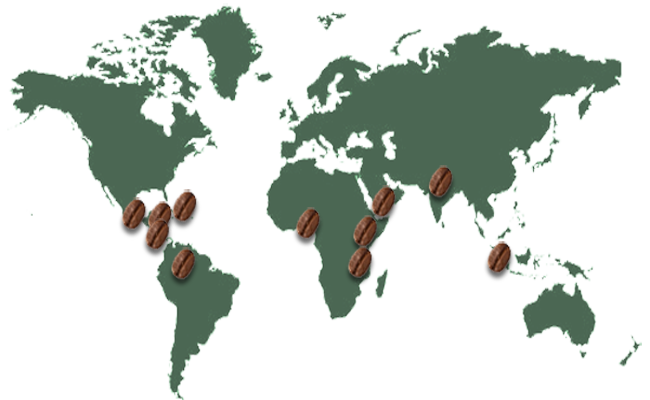 In countries famed for their outstanding coffees, where geography and climate have combined to produce a coffee bean of rare body, aroma and flavour, we buy gourmet coffee from growers who personally supervise their hand cultivation. 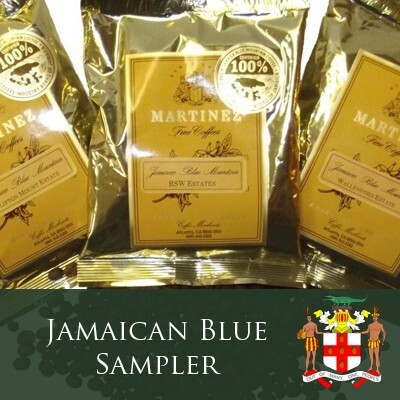 These fine premium single origin and estate coffees are now available, roasted to perfection, from J. Martinez & Company. 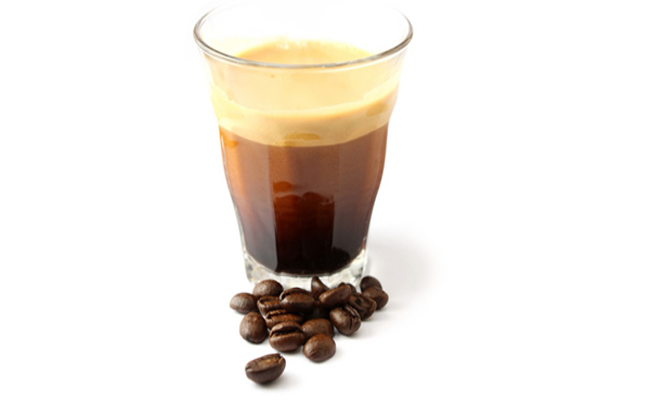 Our gourmet espresso blend – Don Giovanni's Espresso Bellissimo – has all the hallmarks of a classic espresso coffee. Our premium whole bean espresso was awarded a Grand Gold Medal at the 2005 Monde Selection competition, and we know it will be a winner for you as well. Give a gift they will remember you by all year long with a Coffee of the Month Membership. We offer a number of gifts for coffee lovers for any occasion, including coffee gift sets, our Coffee of the Month Club, and gift certificates. 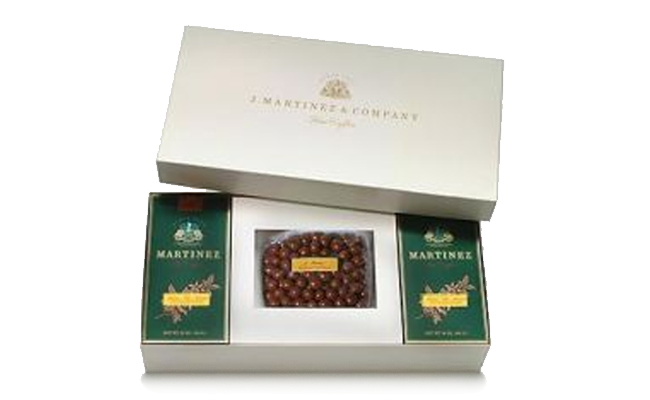 Our elegant coffee gift boxes are built to hold a selection of samples of our gourmet coffees or a combination of coffee and some other treat. Don't miss our latest offerings! 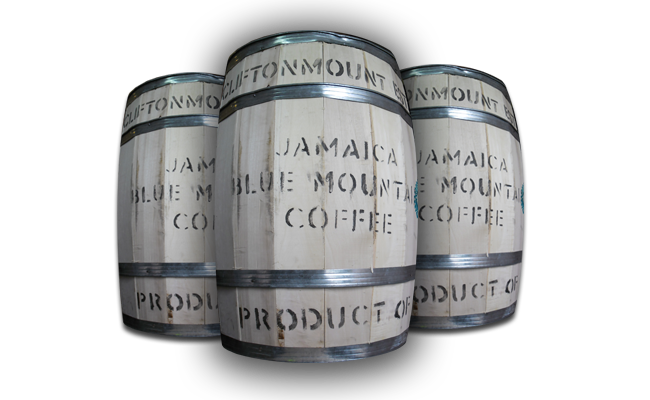 Our Jamaica Blue Mountain Sampler is another great option for a gift or for yourself, allowing you to sample all three of our Jamaica Blue Mountain estate coffees at one low price. "Coffee is Man's Most Affordable Luxury"
The Martinez Family has been roasting the finest estate and single origin coffee for over 20 years. We roast coffee and ship daily to discerning customers throughout the world.